Lloyds Business Brokers is pleased to announce the sale of Cleanawater to a high profile Trade Player. The sale follows an intense and highly successful 8 week marketing campaign that resulted in 63 qualified enquires and 5 offers on the table. The winning offer exceeded the seller’s budget and expectations, the speed and outstanding sales results highlighting what can be achieved when buyer and seller are working to the same objective. Cleanawater is a leader in sustainable water treatment technology. Based in Melbourne and established in 1996, the company has experienced very strong growth in the last 5 years due to a strong go-to-market strategy, investment in new technology that has opened up new markets and opportunities, and increased competitiveness resulting from improved supply lines and the streamlining of manufacturing processes. The Sale of the business was conducted by our Victorian Director Chris Butchers, using Lloyds Tender Process in conjunction with the application of Lloyds Target Marketing, produced some spirited offers which resulted in a highly successful Sale. 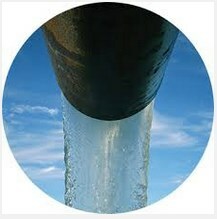 In 1996 Cleanawater started out as a company offering water treatment within Melbourne. From humble beginnings in a garage, over the past decades Cleanawater has grown into the leader in the Australian for water treatment system design, manufacturing, installations and servicing. Their award winning solutions are approved by Australian water authorities and include custom built systems as well as off-the-shelf units. Their systems are engineered for economy, ease of use and performance! Case Study: A client with sites in Darwin required a stormwater management and washwater recycling system to provide disinfection and pH correction. This was needed while also ensuring water was suitable for re-use in wash bays. Darwin's harsh climate meant that the solution needed to be hardy. It had to be able to operate reliably in the city's humid climate without access to a sewer point. Cleanawater developed a custom solution - a containerised water treatment / recycling system: perfect for use in very humid and hot weather conditions.